Our dogs are special because they provide joy, love and protection to our family. To return the love and loyalty they have provided us, we should provide them with the best shelter, comfort and protection possible. Here at Mytopia, you can buy high-quality dog kennels that are completely safe and are guaranteed to give pets a dedicated space which they can call home. 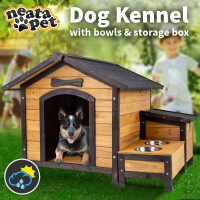 Surely one of the best dog kennels you can find online, the Neata Pet Dog Kennel provides dogs with a nice shelter and a very cool place to hang out. Made from a specially-selected wood, this product is known for its pleasant and fresh aroma. The solid weatherproof wood construction makes it a top choice for picky pet owners in search of heavy-duty products. 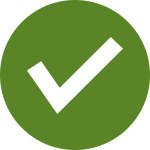 Aside from the pest resistance feature that guarantees dogs a comfortable place to stay, the asphalt roof also blends very well with the firewood. The eco-friendly paint that was used to create this dog kennel means that pets are completely safe from harmful toxins. The elegant design of this product makes it a great addition to all types of backyards. More importantly, cleaning is never a problem as it comes with an easy access for cleaning the inside. The interior can be hosed down easily through the removable floor panels. Buy this dog kennel at Mytopia and be ensured of a safe, durable and relaxing place for your pets. You need not worry about suffocation as the Neata Pet Dog Kennel comes with a huge patio, which is a perfect place for pets to enjoy some fresh air. The product is also designed with raised floors to make sure that air circulation is maintained underneath. The spacious interior is perfect for large dog breeds that can weigh as much as 25 kilograms. For those looking to buy dog kennels in Sydney, Brisbane, Melbourne or in any other place in Australia, you can also check out the other great pet products available at Mytopia. Here you can also find Chicken Coops, Rabbit Hutches and Cat Trees.